Άλλες πληροφορίες Description: NEW! 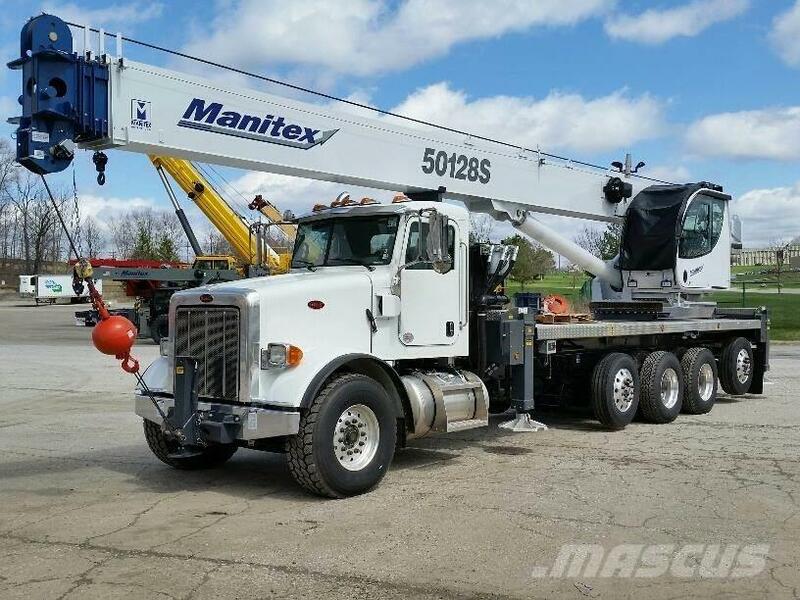 2018 Manitex 50128S on Peterbilt 365, 50 ton, 128’ boom plus 32’-49’ jib, 1 Winch, front bumper outrigger, 500 HP Cummins, Eaton Trans, tandem plus tag & pusher axle, Block & Ball, AC up & down, outrigger remote. Located in Solon, OH.